This is Warren County's official emergency preparedness application, brought to you by the Warren County Emergency Management Agency. Our goal is to provide an all-inclusive, singular mobile resource for Warren County residents to access accurate and timely information before, during and after an emergency. Get everything you need to be prepared for emergencies with the official app of the Warren County Emergency Management Agency. 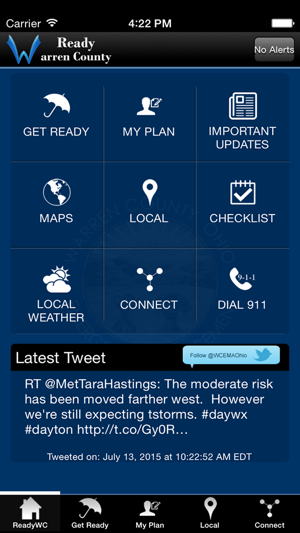 Find local weather conditions, forecasts and alerts, even learn what to do for each type of emergency situation. Preparing for disasters is one of the most important things you can do for the safety of you and your family. 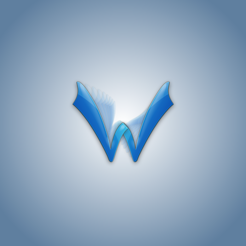 The Ready Warren County app provides you with up-to-the-minute information that affects every Warren County resident. For more information, visit http://www.co.warren.oh.us/emergencyservices/emergencymanagement/default.aspx.